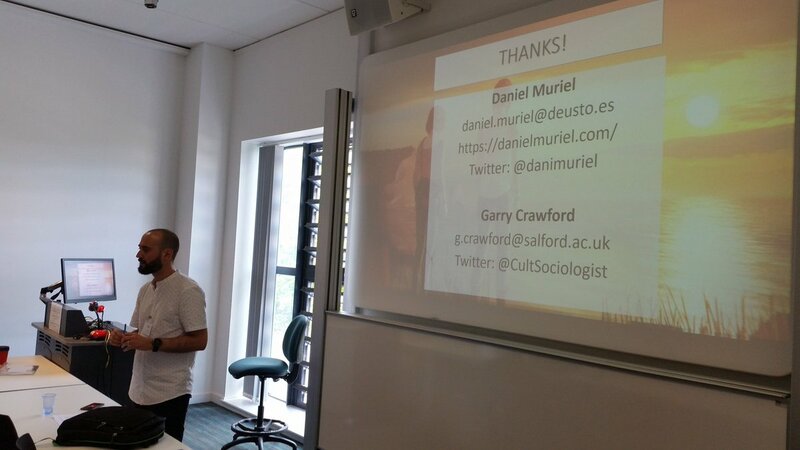 Muriel, Daniel and Crawford, Garry (2018). “The videoludification of society: the emergence and consolidation of video games in leisure culture”. 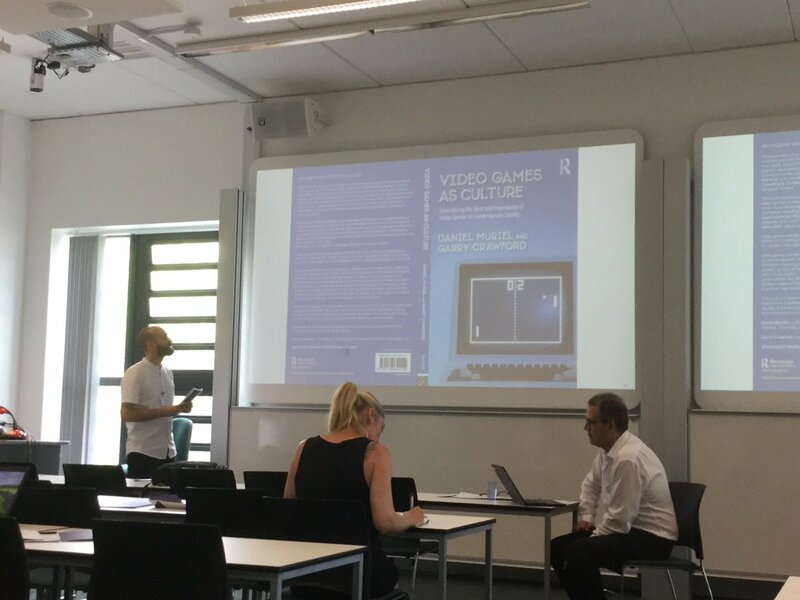 Within the context of a rising digital culture, this paper explores video game culture as the institutionalization of video game practices, experiences, and meanings in contemporary leisure culture. Thus, video game culture is pervading most areas of reality, giving to numerous aspects of our society and culture properties usually associated to video games. For example, the presence and influence of video game culture can be perceived in different situations, such as a flourishing and growing video game industry, in how video games are increasingly played by more diverse people, in the fact that video games are becoming an important cultural, academic, and artistic product, in the way video games are turning into a focus of interest for old and new types of media, and in the way video games significantly contribute to the blurring of the fields of education, play, work, and leisure. But, above all, this widely extended video game culture that affects society as a whole can be summarized in the ongoing process of the ‘videoludification of society’; through which several aspects of contemporary society are being (video)gamified. Muriel, Daniel; Cuenca, Jaime; Monteagudo, María Jesús (2018). “The technopolitical promises (and threats) of an augmented and virtual reality”. Both augmented and virtual reality foster a process of hybridization between digital and real objects, connecting bodies, devices, and spaces in complex sociotechnical assemblages. While these technologies are increasingly applied to the fields of labour, education, and healthcare, it is in their use as leisure devices where their potential to transform our daily social interactions in a decisive way becomes most apparent. In this sense, this paper aims to explore the –often unnoticed– political implications of virtual and augmented reality technologies as they are being used in leisure practices such as, video gaming, tourist guides, and cultural activities. Building upon theoretical debates around the politics of the gaze, we will discuss some of the different ways in which these technologically mediated leisure contexts can shape power relations by offering new forms of disciplining bodies, opening up wider territories for sur- (and sous-)veillance, enabling identity reconstruction, and affecting spatial representations, among others. Not only do virtual and augmented reality reproduce some of the main political implications of the dominant neoliberal narrative, but they also carry the promise of new modes of power relations and agency that help transform our daily interactions in unexpected ways. Lazcano, Idurre; Madariaga, Aurora; Muriel, Daniel (2018). “Satisfaction of Young People with their Leisure Activities”. Our work seeks: (a) to identify the most significant leisure practices that take place in young people’s peer group; (b) to analyse if certain types of leisure activities among peers affect the satisfaction of and identification with valued experiences; (c) to verify if young people who participate in the organisation of these valued experiences show a greater satisfaction and enjoyment with the activities they carry out. This paper focuses on young people, aged between 16 and 18, in the constitution and management of spaces where they develop their leisure.